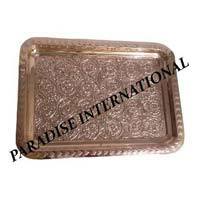 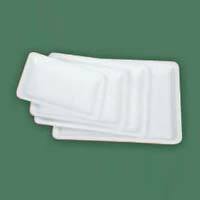 We hold the top-notch in the tally of Manufacturers, Exporters and Suppliers of Aluminium Serving Trays in India. 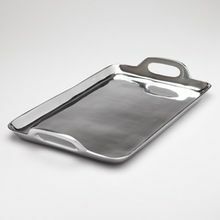 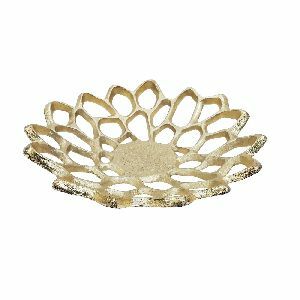 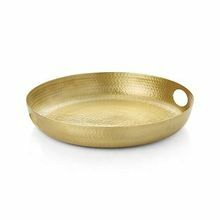 These Aluminium Serving Trays are ideal for serving snacks at home and even in corporate lunches. 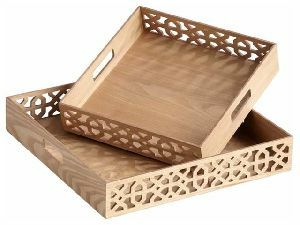 Available in a myriad of sizes, designs and finishes, these Aluminium Serving Trays are also reasonable in price. 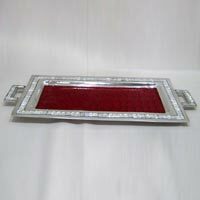 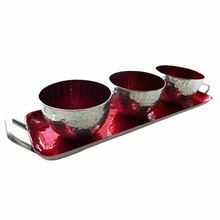 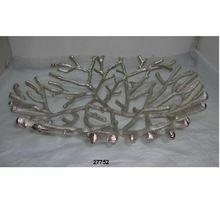 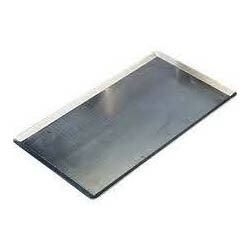 We offer aluminium serving tray. 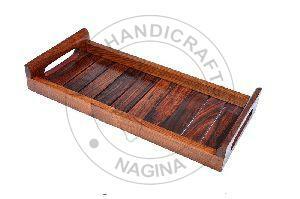 If you are interested in any products then please let us know in order to allow us to send you catalog with pricelist. 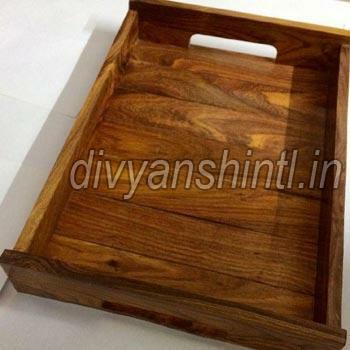 our items quality is excellent than others & the products are available at the discounted price of 10% in the comparison to competitors and the margin can be increased if the order is in bulk quantity. 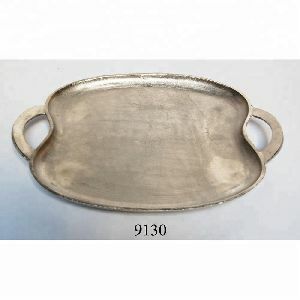 Aluminium Serving Trays are offered in different sizes and shapes. 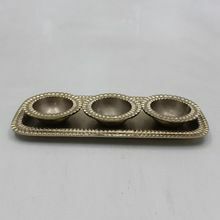 They are available in different designs. 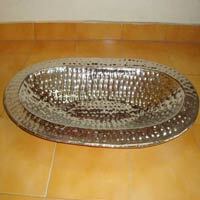 Fine finishing and polish makes them shine. 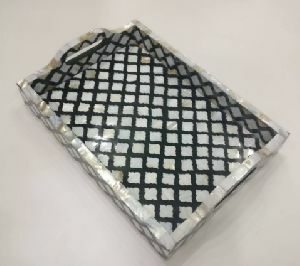 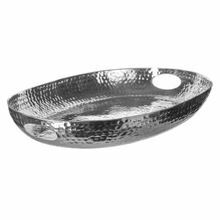 The boundaries of Aluminium Serving Trays are embossed with beautiful crystals. 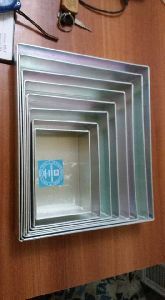 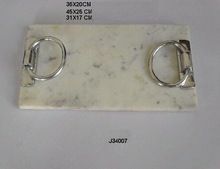 The minimum order quantity of Aluminium Serving Trays is 50 pieces. 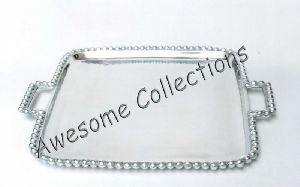 They are carefully packed into plastic boxes. 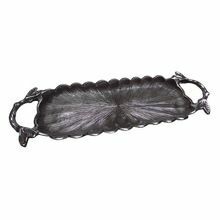 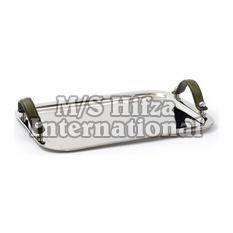 Product Name : Aluminium Metal Serving Tray with Handle. 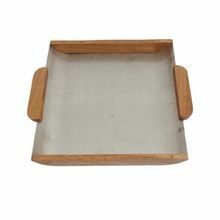 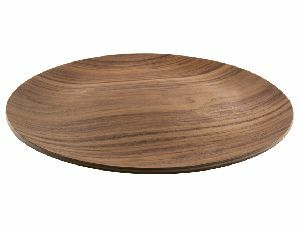 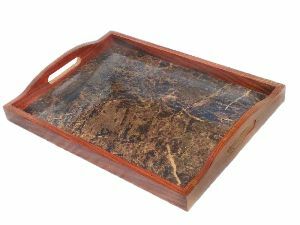 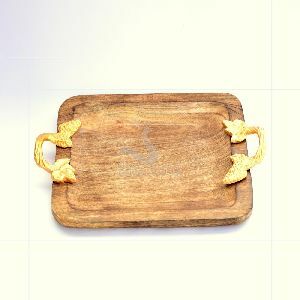 Wooden Serving Tray With Aluminium Base, A Perfect Gift Item.